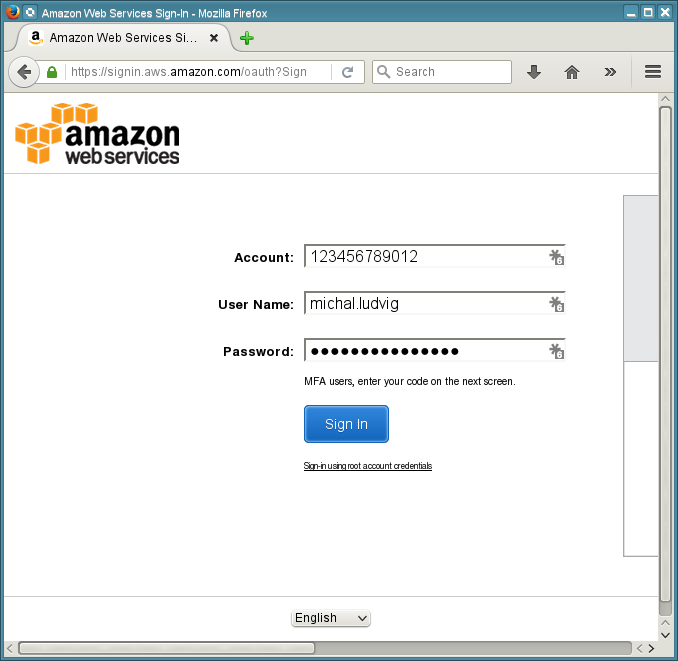 As an Amazon Web Services professional working on projects for multiple customers I need an easy way to login to their many AWS accounts through the web console. 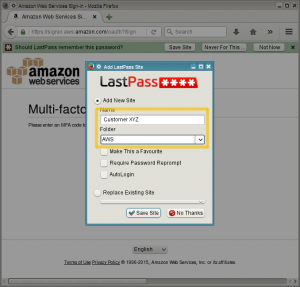 Green LastPass notification bar will pop up asking if you would like to save a new site. 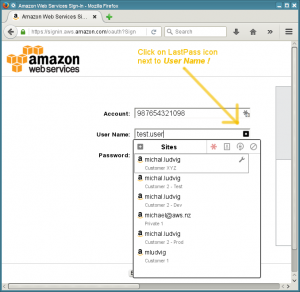 Click Save Site and give the account a descriptive name – typically a Customer name, Project name, whether it’s a Development, Test or Production account, etc. 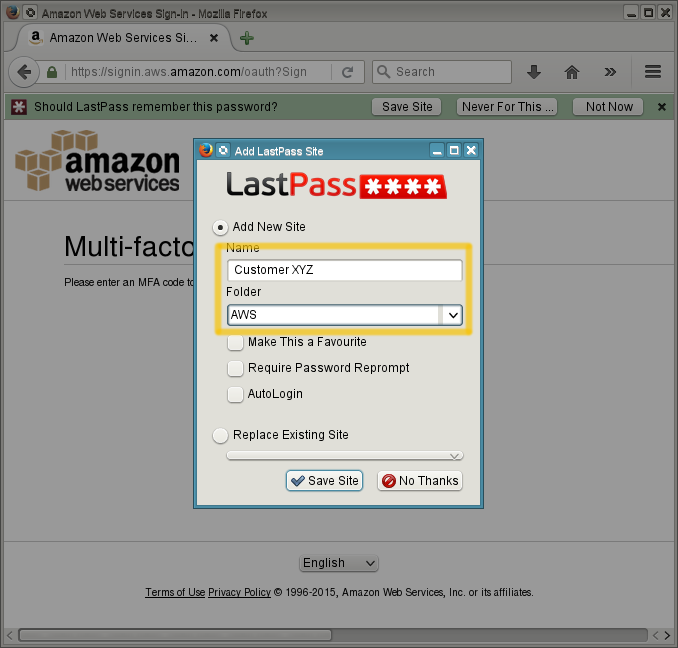 I also keep all AWS credentials in a dedicated LastPass folder (e.g. AWS in this case). 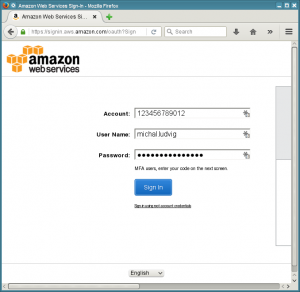 Just type “AWS” and the folder will be created for you automatically. 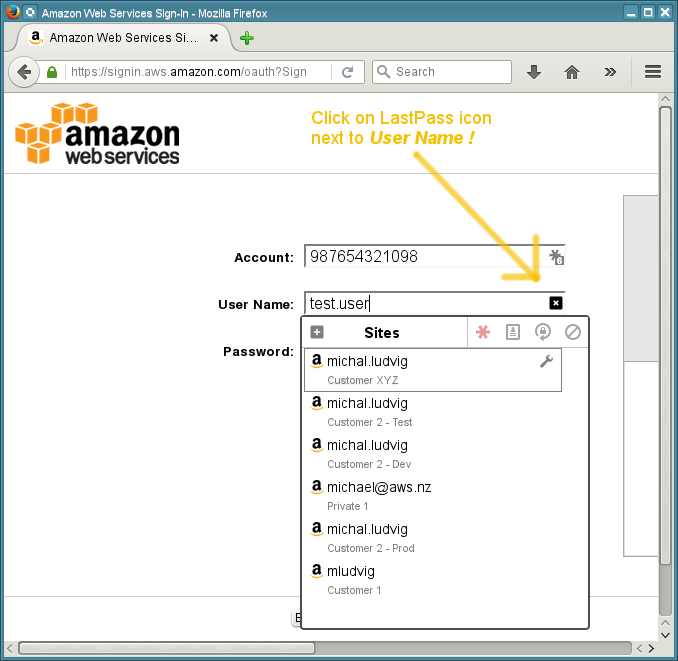 Open a blank login screen again and – here is the trick – click on the LastPass star-icon in the User Name field, not in the first Account field! Select the new account and voilà – all three fields are filled in. This is especially handy for accounts that don’t have a verbose alias created and only use the default 12-digit account name. The saved credentials are now available through all your LastPass plugins – in Firefox, Chrome, IE and also in their Private modes which makes operating multiple accounts concurrently much easier. 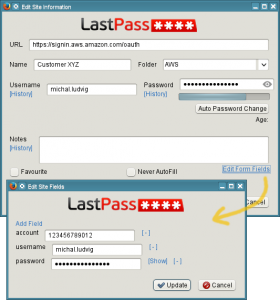 You may wonder how does LastPass remember the Account ID when its database typically only keeps track of usernames and passwords. The answer is behind the link “Edit Form Fields” near the bottom right corner of the Edit dialog. 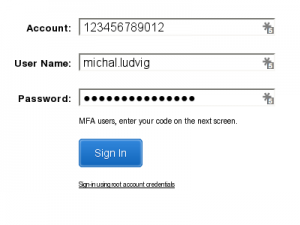 There they are – account, username and password fields ready to be used. This way you can populate even more complex forms. 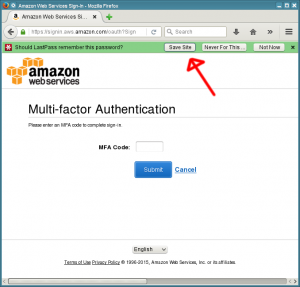 It’ll be even more helpful when AWS provides the ability to use Lastpass Authenticator with IAM login. 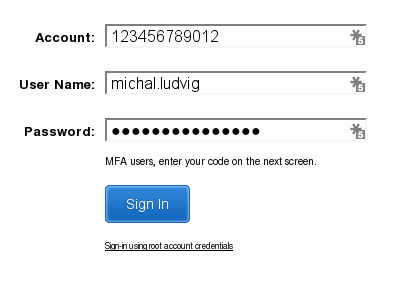 You can of course use Lastpass Authenticator with IAM login. I do and have no problems with that. 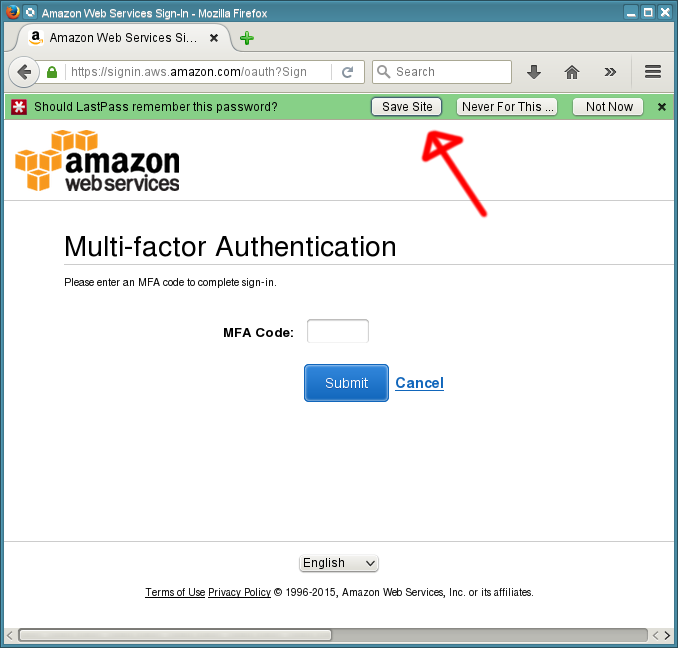 The only problem is that you can’t transfer existing Google Authenticator MFA setup to Lastpass Authenticator and have to set up new MFA tokens for all your accounts. But that’s a one-off inconvenience.